You decorate your walls, so why not your ceiling? The dome of your dwelling is a blank canvas — albeit, one that is too often neglected. 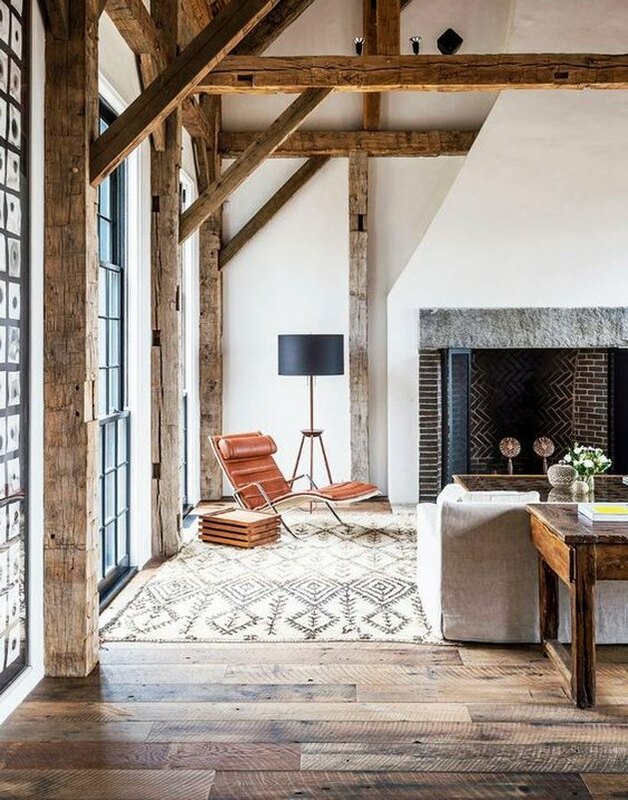 Beams, whether structural or purely decorative, instantly add visual interest. Reclaimed wood planks lend rustic ambiance, while white-washed panels enhance coastal appeal, and cement gives any room an industrial vibe. 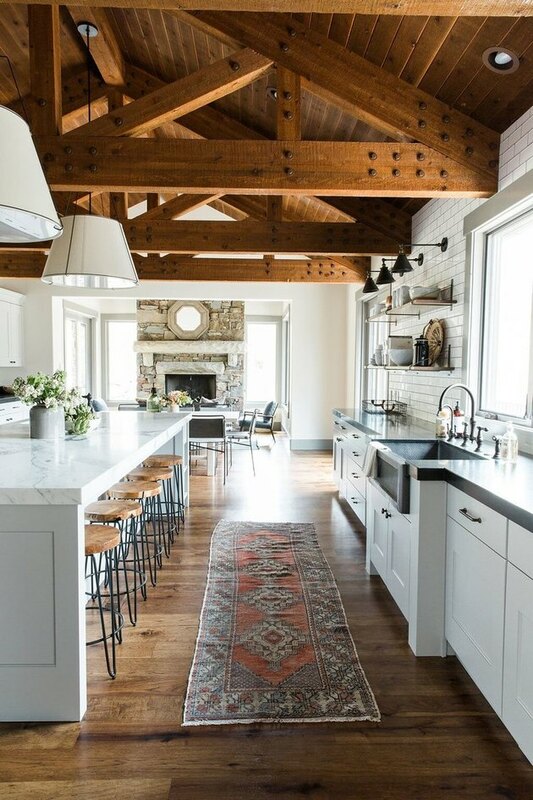 Ahead are 13 of our favorite spaces with decorative and structural ceiling beams that demand a double take. 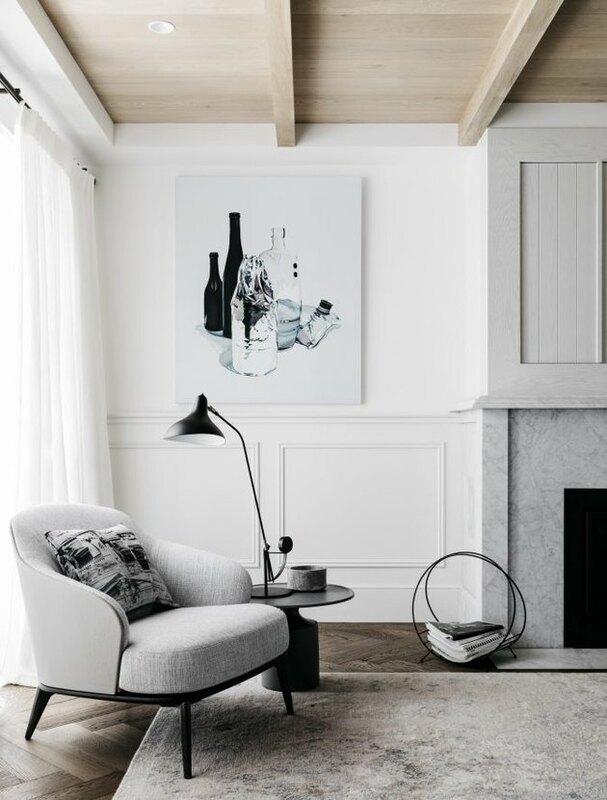 This Upstate New York abode hits the trifecta of contemporary cool: White walls, soaring ceilings, and sleek furnishings. Massive windows bring in lots of natural light. 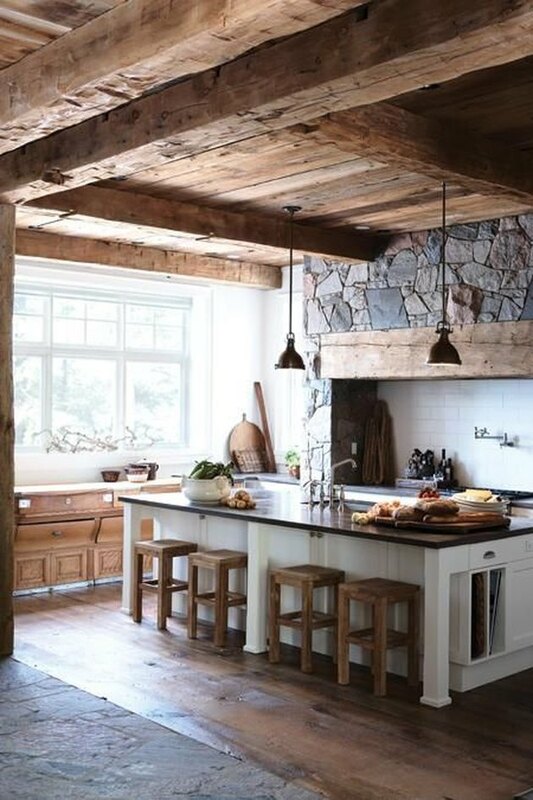 Exposed beams and a slot in the wall to stack firewood infuse a little farmhouse charm. Natural tones mixed with earthy elements — wood walls and ceiling beams, dramatic windows, and a plush sectional sofa with accent pillows and a fur throw — create a cozy, romantic atmosphere in this luxurious Muskoka District, Ontario chalet. 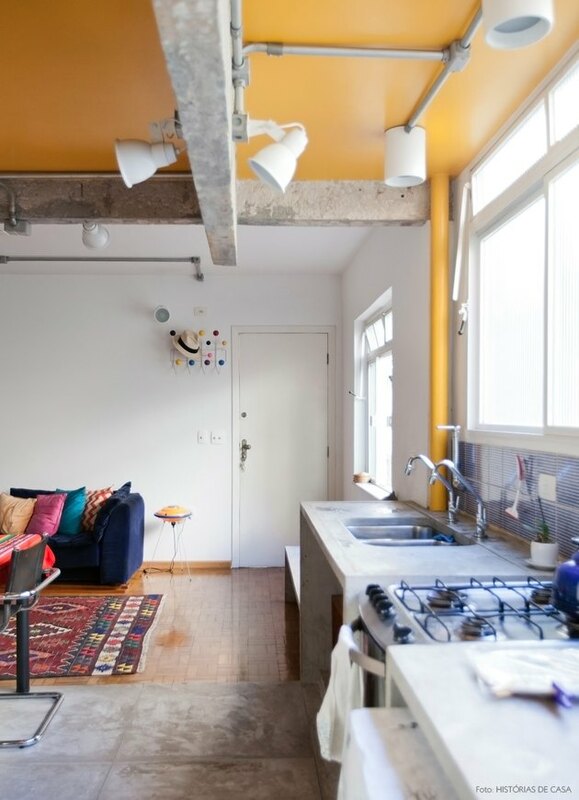 This open-plan kitchen wows with industrial-style concrete beams, track lighting, and a sunny yellow ceiling. You'd be hard-pressed to find anyone who wouldn't be happy cooking in here. Original windows, refurbished concrete slab flooring, and Douglas fir beams set the tone for this Joshua Tree cabin. A mix of midcentury pieces, newly-sourced materials, and eclectic accents pay tribute to the past without neglecting the present. This Palm Beach, Sydney coastal retreat is a prime example of thinking outside the box, err square room. Taking a cue from its coastal surroundings, it blends serene hues, and carefully-considered elements — natural wood beams, herringbone pattern wood floors, and floor to ceiling windows. A colossal stone fireplace and large marble kitchen island help anchor and balance the grandeur of the traditional wood frame beams and rafters. 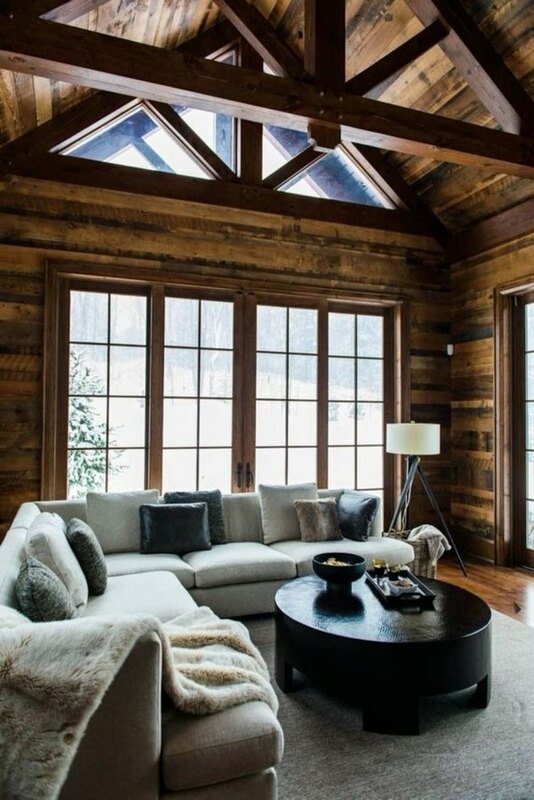 The rustic exposed ceiling mixed with modern accents work together to create the cozy and welcoming aesthetic of this Park City, Utah cabin. This Italian-style kitchen marries provincial sophistication and lived-in charm, with a few contemporary flourishes. The open-shelving displays antique copper pots and heirloom dishes, while a striking chandelier hangs from a wood beam clad-ceiling. Bellissimo! 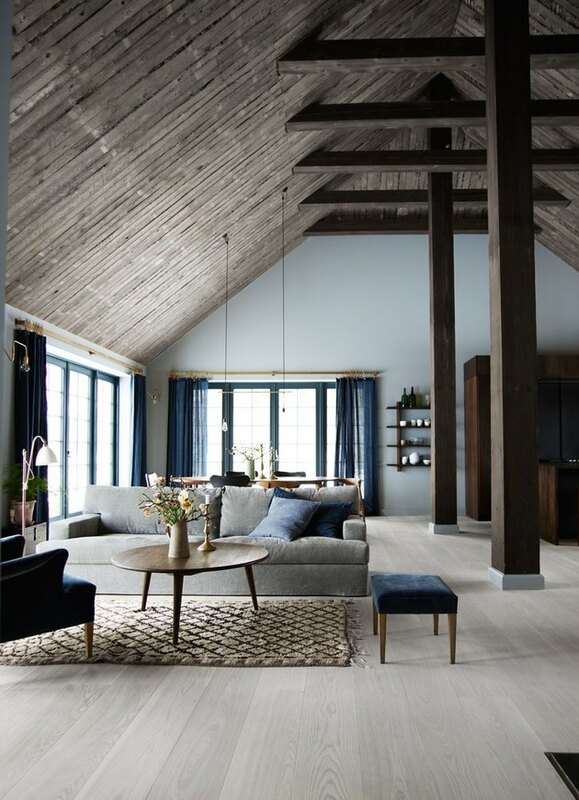 This sleek North Zealand dream house, constructed in traditional Danish style, is sophistication come to life. Inspired by nature, the home is filled with organic materials and surrounded by breathtaking views of the neighboring lake and forest. This no-frills approach to bringing the outdoors in, is what makes this place so mesmerizing. 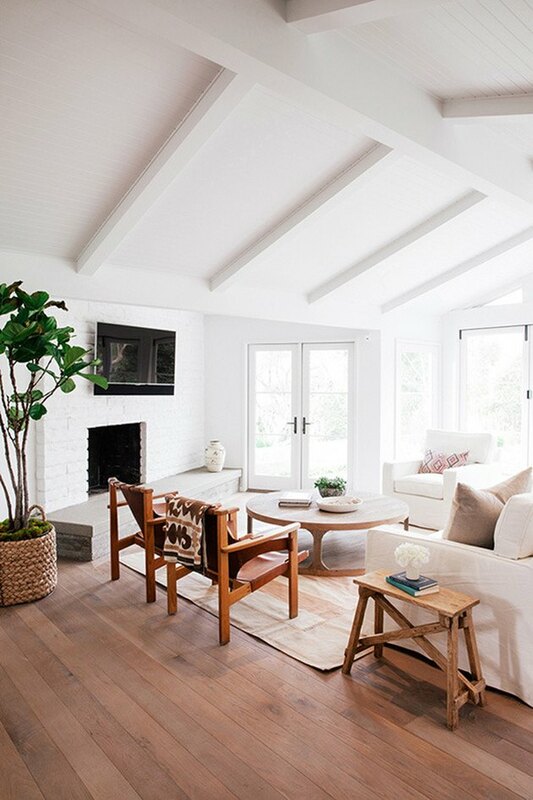 Everything from the walls, to the fireplace surround, to the ceiling and beams are crisp white. Potted plants, warm wood floors, and cozy furniture keep this living room from feeling stark. The architecture is the star of this modern Hudson, New York residence designed by Jennifer Bunsa. Rustic wooden beams, columns, and flooring accentuate the natural beauty of traditional farmhouse construction. While an array of eclectic art and decorative flourishes, such as industrial style windows, Moroccan doors, and ceramic tile, amp up the personality. 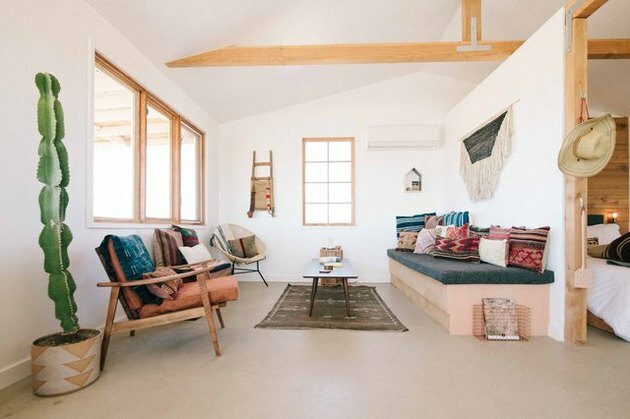 This creative Los Angeles home is giving us major boho-chic vibes. 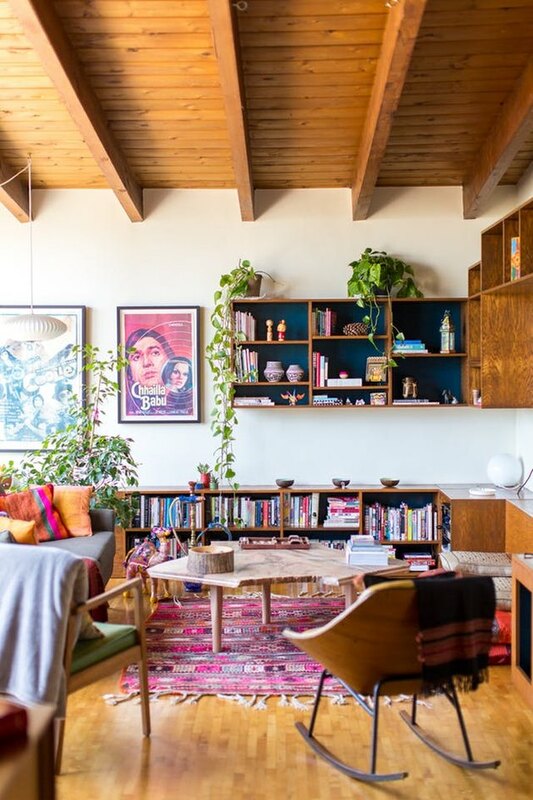 From the potted plants, to the brightly patterned area rug, to the framed Bollywood thriller movie poster, we just can't get enough of this eclectic mash-up. A chiseled stone wall and flooring paired with rustic wood-planked and beamed ceiling lend woodsy allure to this pastoral cabin. 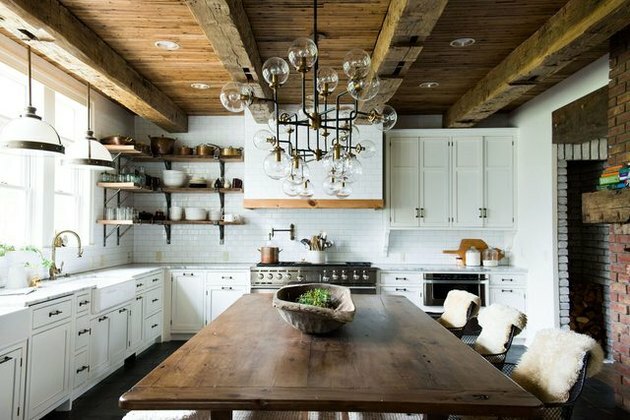 Can you believe that these wood beams are purely decorative? That's right! 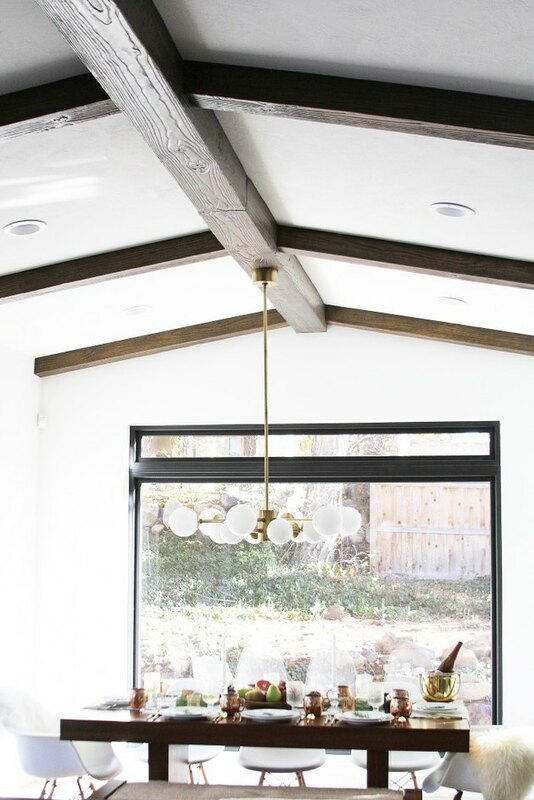 With a little help from her family and Arizona Faux Beams, Jennifer Stagg — the DIY savant behind the blog With Heart — was able to tackle this DIY challenge, and add beautiful faux wood beams to her great room ceiling. Not for the faint of heart or the DIY newbie, installing decorative wood beams can be a daunting task. Consider consulting with a professional before embarking on this home remodel adventure to ensure proper installation and safety.